Your child will attend one (1) day a week. Class will meet five (5) weeks beginning January 10, 2017. Lessons are Tuesdays from 3:30-5pm. 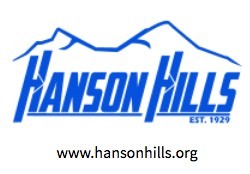 Transportation to Hanson Hills will be provided by the Crawford AuSable School District. Parents: You are responsible for your child’s ride home at 5 p.m. If school is closed due to scheduled days or ½ days off, or inclement weather, ski lessons will be extended by one (1) week. If there is a cancellation because of weather the school will be notified and your kids will be sent home as it is on their emergency card. WE WILL NOT BE CALLING EVERY PARENT. Weather cancellations are if actual temperatures are below 10 degrees at 11:00 am we will cancel. If wind chill is -10 degree or lower at 11:00 am we will cancel. If it is raining at 11:00 am we will cancel.